Lilac off shoulder crop top flowing in satin. Further enhanced with extendant flared sleeves. The crop top is beautified with sequins, cut dana and applique flower work . It also has a cut out at the back. 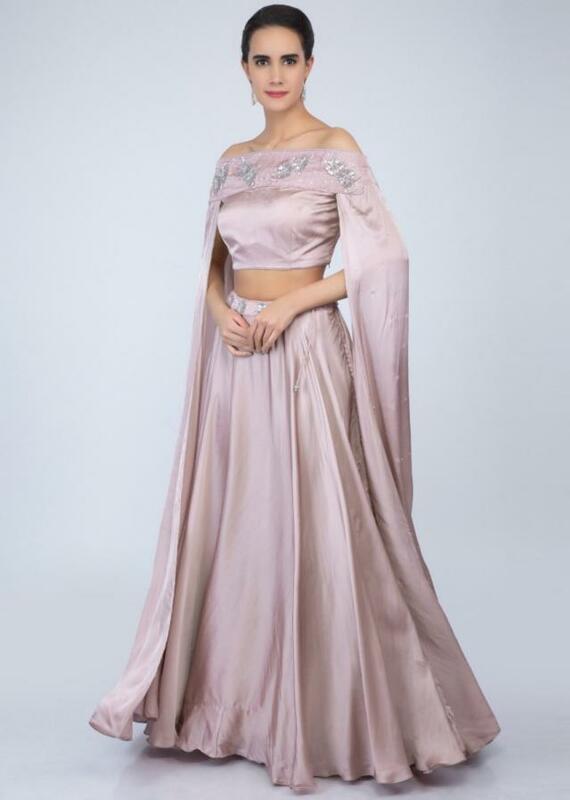 It comes with a matching satin skirt with embroidered waistline.